Brown, S. A., Ransley, E. J., Greaves, D., Hindley, S., Weston, P., Guerrini, E., & Starzmann, R. (2016). Evaluation of a Floating Tidal Turbine Device using a Coupled CFD Approach. Paper presented at the PRIMaRE, Bath. Francis, R., Hann, M., & Vance, T. (2016). Using three dimensional printing to investigate the hydrodynamic effect of biofouling (Chirona hameri) in relation to tidal energy. Paper presented at the 18th International congress on marine corrosion and fouling, Toulon. Greaves, D., Hann, M., Kurniawan, A., Chaplin, J., & Farley, F. (2016). THE HYDRODYNAMICS OF AIR-FILLED BAGS FOR WAVE ENERGY CONVERSION. Paper presented at the Proceedings of the 2nd International Conference on Offshore Renewable Energy (CORE), Glasgow. Guichard, J., Hann, M., Greaves, D., Simmonds, D., & Iglesias, G. (2016). DESIGN OF A SMALL WIND GENERATOR FOR THE EXPERIMENTAL STUDY OF FLOATING OFFSHORE WIND TURBINES. Paper presented at the Proceedings of the 2nd International Conference on Offshore Renewable Energy (CORE), Glasgow. Hu, Z. Z., Greaves, D., Hann, M., & Iglesias, G. (2016). Fluid-Structure interaction problems in free-surface flow applications. Paper presented at the PRIMaRE, Bath. Hu, Z. Z., Mai, T., Greaves, D., & Raby, A. (2016). A Numerical and Experimental Study of a Simplified FPSO in Extreme Free Surface Waves. Paper presented at the 26th International Society of Offshore and Polar Engineers (ISOPE) conference, Rhodes. Kurniawan, A., Greaves, D., Hann, M., Chaplin, J., & Farley, F. (2016). Wave energy absorption by a floating air-filled bag. Paper presented at the 31st Intl Workshop on Water Waves and Floating Bodies, Plymouth. Miles, J., Simmonds, D., & Iglesias, G. (2016). HYDRODYNAMICS NEAR WINDFARM MONOPILE FOUNDATIONS. Paper presented at the PRIMaRE, Bath. Ransley, E. J., Brown, S. A., Greaves, D. M., Hindley, S., Weston, P., & Guerrini, E. (2016). Coupled RANS-VOF modelling of floating tidal stream concepts. Paper presented at the International Conference on Offshore Renewable Energy Glasgow. Ransley, E. J., Brown, S. A., Greaves, D. M., Hindley, S., Weston, P., Guerrini, E., & Starzmann, R. (2016). Coupled RANS-VOF Modelling of Floating Tidal Stream Concepts. Paper presented at the Marine Energy Technology Symposium, Washington D. C.
Ransley, E. J., Brown, S. A., Greaves, D. M., Hindley, S., Weston, P., Guerrini, E., & Starzmann, R. (2016). RANS-VOF Modelling of Floating Tidal Stream Systems. Paper presented at the Oxford Tidal Energy Workshop, Oxford. Ransley, E. J., Greaves, D., Graham, D., Kyte, A., Qian, L., Causon, D. M., Mingham, C. G., Zang, J., Ma, Q., & Tabor, G. (2016). Developing a National Community-serving Numerical Wave Tank Facility. Paper presented at the PRIMaRE, Bath. Tan Loh, T., Greaves, D., Maki, T., Vuorinen, M., Simmonds, D., & Kyte, A. (2016). Numerical Modelling of the WaveRoller Device Using OpenFOAM. Paper presented at the 3rd Asian Wave and Tidal Conference (AWTEC 2016), Singapore. Abanades, J., Greaves, D., & Iglesias, G. (2015). Beach morphodynamics in the lee of a wave farm. Paper presented at the Proceedings of the 11th European Wave and Tidal Energy Conference, Nantes. Chaplin, J., Farley, F., Greaves, D., Hann, M., Kurniawan, A., & Cox, M. (2015). Numerical and experimental investigation of wave energy devices with inflated bags. Paper presented at the Proceedings of the 11th European Wave and Tidal Energy Conference, Nantes. Chaplin, J., Farley, F., Kurniawan, A., Greaves, D., & Hann, M. (2015). Forced heaving motion of a floating air-filled bag. Paper presented at the 30th International Workshop on Water Waves and Floating Bodies, Bristol. Chapman, J., Perez-Torres, D., Baldini, A., Le Dreff, J., Masters, I., Foster, G., Stockman, G., Greaves, D., & Iglesias, G. (2015). Validation of Storm Load Limitation of a Novel Wave Energy Converter Using Scale Model Testing. Paper presented at the Proceedings of the 11th European Wave and Tidal Energy Conference, Nantes. Garcia-Hermosa, I., Abcha, N., Brossard, J., Bennis, A., Ezersky, A., Gross, M., Iglesias, G., Magar, V., Miles, J., Mouaze, D., Perret, G., Pinon, G., Rivier, A., Rogan, C., & Simmonds, D. (2015). Characterisation of impacts on the environment of an idealised offshore wind farm foundation, under waves and the combination of waves and currents. Paper presented at the EGU General Assembly Conference Abstracts. Göteman, M., Engström, J., Eriksson, M., Hann, M., Ransley, E., Greaves, D., & Leijon, M. (2015). Wave Loads on a Point-Absorbing Wave Energy Device in Extreme Waves. Paper presented at the 25th International Offshore and Polar Engineering Conference Kona. Hu, Z. Z., Greaves, D., & Raby, A. (2015). Numerical simulation of extreme wave impact on a rigid truncated vertical wall using OpenFOAM. Paper presented at the PRIMaRE, Exeter. Hu, Z. Z., Mai, T., Greaves, D., & Raby, A. (2015). Hydroelastic Investigation of Extreme Wave Impact on a Truncated Vertical Wall. Paper presented at the 7th International Conference on HYDROELASTICITY (HYEL) in marine technology, Split. Kurniawan, A., & Greaves, D. (2015). Broad-banded wave power absorption with submerged balloons. Paper presented at the 2nd Offshore Energy and Storage Symposium, Edinburgh. Ma, Q., Yan, S., Greaves, D., Mai, T., & Raby, A. (2015). Numerical and Experimental Studies of Interaction between FPSO and Focusing Waves. Paper presented at the Proceedings of 2015 ISOPE. Ma, Z. H., Qian, L., Causon, D. M., Mingham, C. G., Mai, T., Greaves, D., & Raby, A. (2015). The role of fluid compressibility in predicting slamming loads during water entry of flat plates. Paper presented at the ISOPE, Hawaii. Mai, T., Hu, Z. Z., Greaves, D., & Raby, A. (2015). Investigation of Hydroelasticity: Wave Impact on a Truncated Vertical Wall. Paper presented at the 25th International Society of Offshore and Polar Engineers (ISOPE) conference, Hawaii. Mehmood, D., Graham, D., Langfeld, K., & Greaves, D. (2015). OpenFOAM finite volume method implementation of a fully nonlinear potential flow model for simulating wave-structure interactions. Paper presented at the ISOPE, Hawaii. Monk, K., Conley, D., Winands, V., Lopes, M., Zou, Q., & Greaves, D. (2015). Simulations and Field Tests of Pneumatic Power Regulation by Valve Control Using Short-term Forecasting at the Pico OWC. Paper presented at the Proceedings of the 11th European Wave and Tidal Energy Conference, Nantes. Phillips, J., Greaves, D., & Raby, A. (2015). The Free Floating Clam – Performance and Potential. Paper presented at the Proceedings of the 11th European Wave and Tidal Energy Conference, Nantes. Raby, A., Banfi, D., & Simmonds, D. (2015). Wave impacts on rock lighthouses. Paper presented at the Coastal structures & solutions to coastal disaster joint conference 2015., Boston. Ransley, E. J., Göteman, M., Engström, J., Jakobsen, M., Eriksson, M., Leijon, M., Kramer, M., Hann, M., & Greaves, D. (2015). RANS-VOF Modelling of Wave Energy Converters. Paper presented at the PRIMaRE, Penryn. Vyzikas, T., Stagonas, D., Buldakov, E., & Greaves, D. (2015). Efficient numerical modelling of focused wave groups for freak wave generation. Paper presented at the ISOPE, Hawaii. Allsop, W., Burgess, K., Pan, S., Horrillo-Caraballo, J. M., Reeve, D., & Simmonds, D. (2014). Morphological Modelling of V-Shaped Submerged Breakwaters. Paper presented at the From Sea to Shore – Meeting the Challenges of the Sea. Allsop, W., Burgess, K., Vyzikas, T., Ransley, E. J., Hann, M., Magagna, D., Greaves, D., Simmonds, D., Magar, V., & Conley, D. (2014). Integrated Numerical Modelling System for Extreme Wave Events at the Wave Hub Site. Paper presented at the From Sea to Shore – Meeting the Challenges of the Sea. Brown, S. A., Magar, V., Greaves, D., & Conley, D. (2014). An evaluation of RANS turbulence closure models for spilling breakers. Paper presented at the ICCE, Seoul. Collins, K. M., Le, H. R., David-West, O., & Greaves, D. (2014). From Concept to Laboratory Testing: the Development Cycle of a Novel Wave Energy Converter. Paper presented at the ICOE, Halifax. Conley, D., Magagna, D., Greaves, D., Aires, E., Chambel Leitao, J., Witt, M., Embling, C., Godley, B. J., Bicknell, A., Saulnier, J. B., Simas, T., O’Hagan, A. M., O’Callaghan, J., Holmes, B., Sundberg, J., Torre-Enciso, Y., & Marina, D. (2014). ANALYSIS OF EXPERIENCE FROM ENVIRONMENTAL IMPACT ASSESSMENTS OF WAVE ENERGY TEST CENTRES. Paper presented at the Proceedings of the 2nd International Conference on Environmental Interactions of Marine Renewable Energy Technologies (EIMR2014), Stornoway. Garcia-Hermosa, I., Brossard, J., Cohen, Z., Perret, G., Pinon, G., Abcha, N., Bennis, A., Ezersky, A., Mouaze, D., Rivier, A., Iglesias, G., Miles, J., Rogan, C., Simmonds, D., Gross, M., & Magar, V. (2014). Experimental characterisation of wave induced flow fields due to an offshore wind farm mast. Paper presented at the First International Conference on Renewable Energies Offshore (RENEW), Lisbon. Gonzalez-Santamaria, R., Simmonds, D., Zanuttigh, B., Reeve, D., Nicholls, R. J., Thompson, R. C., Pan, S., Horrillo-Caraballo, J., Hoggart, S. P. G., & Hanson, S. (2014). APPLICATION OF A NOVEL DECISION SUPPORT SYSTEM TO ASSESS AND MANAGE COASTAL FLOOD RISK IN THE TEIGN ESTUARY, UK. Paper presented at the Coastal Engineering Proceedings. Hann, M., Greaves, D., & Raby, A. (2014). A new set of focused wave linear combinations to extract non-linear wave harmonics. Paper presented at the 29th Intl Workshop on Water Waves and Floating Bodies, Osaka. Hann, M., Greaves, D., & Raby, A. (2014). Use of design waves to measure the extreme response of a floating WEC. Paper presented at the ICOE, Halifax. Hu, Z. Z., Greaves, D., & Raby, A. (2014). Numerical simulation of extreme wave interaction with an offshore structure using OpenFoam. Paper presented at the PRIMaRE, Plymouth. Hu, Z. Z., Greaves, D., & Raby, A. (2014). Simulation of Extreme Free Surface Waves Using OpenFOAM. Paper presented at the Proceedings of the 5th Conference on the application of physical modelling to port and coastal protection, Varna. Kurniawan, A., Greaves, D., Hann, M., & Chaplin, J. (2014). Compressible wave energy devices. Paper presented at the ICOE, Halifax. Kurniawan, A., Greaves, D., Hann, M., & Chaplin, J. (2014). Multi-resonant compressible wave energy devices. Paper presented at the 29th Intl Workshop on Water Waves and Floating Bodies, Osaka. Mai, T., Raby, A., & Greaves, D. (2014). Aeration effects on impact: Drop test of a flat plate. Paper presented at the ISOPE, Busan. O’Hagan, A. M., Simas, T., Bailey, I., Marina, D., Sundberg, J., Le Crom, I., & Greaves, D. (2014). Learning from test centre experience to improve consenting for larger, commercial scale wave energy development Paper presented at the Proceedings of the 2nd International Conference on Environmental Interactions of Marine Renewable Energy Technologies (EIMR2014), Stornoway. Perez-Collazo, C., Astariz, S., Abanades, J., Greaves, D., & Iglesias, G. (2014). Co-located wave and offshore wind farms: A preliminary approach to the shadow effect. Paper presented at the The 5th International Conference on Ocean Energy (ICOE), Halifax. Rogan, C., Bennis, A., Garcia-Hermosa, I., Iglesias, G., Magar, V., Miles, J., Perret, G., Pinon, G., Rivier, A., & Simmonds, D. (2014). Physical and Numerical Modelling of Hydrodynamics and Sediment Transport at Monopile Foundations Paper presented at the PRIMaRE, Plymouth. Rogan, C., Miles, J., Simmonds, D., & Iglesias, G. (2014). The hydrodynamics of monopile foundations – experimental measurements of near bed and free stream turbulence. Paper presented at the Proceedings of RENEW, Portugal. Rogan, C., Miles, J., Simmonds, D., & Iglesias, G. (2014). The Hydrodynamics of Monopile Foundations - Experimental Measurements of Shear Stress and Turbulence. Paper presented at the 16th Biennial Challenger Society Marine Conference, Plymouth. Stagonas, D., Marzeddu, A., Buccino, M., Calabrese, M., Banfi, D., Vicinanza, D., Kofoed, J. P., Pecher, A., Frigaard, P., & Pakozdi, C. (2014). Large Scale Experiments on the Interaction of a Caisson Breakwater with Breaking Waves. Paper presented at the Proceedings of the HYDRALAB IV Joint User Meeting. Stokes, C., Beaumont, E., Russell, P., & Greaves, D. (2014). Perceptions of the Inshore Wave Resource by Beach Water-Users in the lee of Wave Hub. Paper presented at the Proceedings of the 2nd International Conference on Environmental Interactions of Marine Renewable Energy Technologies (EIMR2014), Stornoway. Vyzikas, T., Stagonas, D., Buldakov, E., & Greaves, D. (2014). ON THE SIMULATION OF FOCUSED WAVES WITH OPENFOAM & WAVES2FOAM. Paper presented at the Coastlab, Varna. Abo, A., Greaves, D., Muhammad, R., Raby, A., & Kyte, A. (2013). A Three-dimensional flow model for high velocity channel. Paper presented at the Proceedings of NAFEMS World Congress. Buccino, M., Salerno, D., Banfi, D., Vicinanza, D., Kofoed, J. P., & Calabrese, M. (2013). Breaker types and loading characteristics at SSG. Paper presented at the 10th European Wave and Tidal Energy Conference Series (EWTEC). Chambel Leitao, J., Aires, E., Magagna, D., Conley, D., Greaves, D., Simas, T., Witt, M., Embling, C., Godley, B., Saulnier, J. B., O'Hagan, A., O'Callaghan, J., Holmes, B., Sundberg, J., & Torre-Enciso, Y. (2013). Data Management Platform for wave energy tests centres within the SOWFIA Project. Paper presented at the EWTEC. Collins, K. M., Arber, P., Greaves, D., Hann, M., Iglesias, G., Simmonds, D., Stripling, S., & Toffoli, A. (2013). Facilitating coastal and ocean science research in the laboratory. Paper presented at the EGU General Assembly Conference Abstracts. Collins, K. M., Greaves, D., Iglesias, G., Stripling, S., & Toffoli, A. (2013). The new COAST laboratory at Plymouth University: A world-class facility for marine energy. Paper presented at the ICE Coasts, Marine Structures and Breakwaters 2013: From Sea to Shore - Meeting the Challenges of the Sea, Edinburgh. Lopez, G., Conley, D., Greaves, D., & Magagna, D. (2013). Adjusting An Empirical Algorithm for Extracting Wave Height from HF Radar Measurements at the Wave Hub. Paper presented at the EWTEC. Magar, V., Abcha, N., Bennis, A., Brossard, J., Conley, D., Ellis, E., Ezersky, A., Greaves, D., Gross, M., Iglesias, G., Littlewood, K., Miles, J., Mouaze, D., Perret, G., Pinon, G., & Simmonds, D. (2013). Laboratory-Scale Environmental Impact Assessment of a Monopile Foundation under Different Wave Conditions. Paper presented at the EWEA OFFSHORE 2013, Frankfurt. Miles, J., Thorpe, A., Russell, P., & Masselink, G. (2013). Quantification of ripple and mega-ripple migration rates in the nearshore. Paper presented at the Coastal Dynamics, Bordeaux. Pan, S., Horrillo-Caraballo, J., Reeve, D., & Simmonds, D. (2013). Morphological modelling of V-shaped submerged breakwaters Paper presented at the ICE Proceedings. Perez-Collazo, C., Jakobsen, M., Buckland, H., & Fernandez-Chozas, J. (2013). Synergies for a wave-wind energy concept. Paper presented at the European offshore wind energy conference, Frankfurt. Ransley, E. J., Hann, M., Greaves, D., Raby, A., & Simmonds, D. (2013). Numerical and physical modelling of extreme waves at Wave Hub. Paper presented at the 12th International Coastal Symposium, Plymouth. Ransley, E. J., Hann, M., Simmonds, D., Raby, A., & Greaves, D. (2013). Numerical and Physical Modelling of Extreme Wave Impacts on a Stationary Truncated Circular Cylinder. Paper presented at the 10th European Wave and Tidal Energy Conference Series (EWTEC), Aalborg. Roc, T., Leybourne, M., & Greaves, D. (2013). Optimising commercial scale TEC arrays. Paper presented at the EWTEC. Simas, T., O’Callaghan, J., Saulnier, J. B., Marina, D., Magagna, D., Greaves, D., Embling, C., & Sundberg, J. (2013). Identification of critical environmental and socio-economic issues of designated wave energy test centres across Europe. Paper presented at the EWTEC. Vyzikas, T., Greaves, D. M., Simmonds, D., Ransley, E. J., & Brown, S. A. (2013). Shape optimization of perforated caissons for wave energy harnessing. Paper presented at the 6th PanHellenic Conference of Marine Structures, Athens. Vyzikas, T., Ransley, E. J., Hann, M., Magagna, D., Greaves, D., Simmonds, D., Magar, V., & Conley, D. (2013). Integrated Numerical Modelling System for Extreme Wave Events at the Wave Hub Site. Paper presented at the ICE Conference on Coasts, Marine Structures and Breakwaters, Edinburgh. Greaves, D. (2012). SOWFIA: Streamlining Offshore Wave Farms Impact Assessments of European wave energy developments. Paper presented at the Proceedings of Wave and Tidal 2012, Edinburgh. Horrillo-Caraballo, J., Pan, S., Reeve, D., Simmonds, D., Greaves, D., & Fox, A. (2012). Modelling extreme wave events (present and future scenarios) in southwest England. Paper presented at the Coastal Engineering Proceedings. Jamal, M. H., Simmonds, D., & Magar, V. (2012). Gravel beach profile evolution in wave and tidal environments. Paper presented at the Coastal Engineering Proceedings. Magagna, D., Greaves, D., Conley, D., O'Hagan, A., Holmes, B., Witt, M., Simas, T., Huertas, C., Chambel Leitao, J., Mouslim, H., Torre-Enciso, Y., Sundberg, J., & Rousseau, N. (2012). Gathering the perspectives and experience of test sites and device developers for Wave Energy Environmental and Socio Economic Impact Assessment. Paper presented at the EIMR, Orkney. Magagna, D., Greaves, D., Conley, D., O'Hagan, A., Holmes, B., Witt, M., Simas, T., Huertas, C., Chambel Leitao, J., Mouslim, H., Torre-Enciso, Y., Sundberg, J., & Rousseau, N. (2012). How experiences of the Offshore Wind Industry can aid development of the Wave Energy sector: lessons learnt from EIA studies Paper presented at the ISOPE, Rhodes. Perez-Collazo, C., & Iglesias, G. (2012). Integration of wave energy converters and offshore windmills. Paper presented at the 4th International Conference on Ocean Energy (ICOE), Dublin. Proenca, B., Conley, D., & Greaves, D. (2012). Initial Evaluation of a WERA HF Radar as a Resource Assessment Tool for Wave Energy. Paper presented at the 4th International Conference on Ocean Energy, Dublin. Ransley, E. J., & Greaves, D. (2012). Investigating interaction effects in an array of multi-mode wave energy converters. Paper presented at the 27th International Workshop on Water Waves and Floating Bodies, Copenhagen. Reeve, D., Horrillo-Caraballo, J., Fox, A., Simmonds, D., Kwan, S., Pan, S., & Greaves, D. (2012). Coastal defence evaluation: an SPRC approach. Paper presented at the Coastal Engineering Proceedings. Simas, T., Munoz-Arjona, E., Huertas, C., De Groot, J., Stokes, C., Bailey, I., Magagna, D., Conley, D., Greaves, D., Marina, D., Torre-Enciso, Y., Sundberg, J., O'Hagan, A., & Holmes, B. (2012). Understanding the role of stakeholders in the wave energy consenting process: engagement and sensitivities. Paper presented at the 4th International Conference on Ocean Energy, Dublin. Stokes, C., Beaumont, E., Russell, P., Conley, D., & Greaves, D. (2012). Anticipated coastal impacts of the Wave Hub project. Paper presented at the Environmental Impacts of Marine Renewables, EIMR Orkney. Thorpe, A., Miles, J., Masselink, G., & Russell, P. (2012). Bedform dynamics in a rip channel on a macrotidal beach. Paper presented at the International Conference on Coastal Engineering, Santander. Thorpe, A., Miles, J., Masselink, G., & Russell, P. (2012). Field measurements of bedforms in a rip-channel on a macro-tidal beach. Paper presented at the YCSEC, Bangor. Ball, I., Mendoza-Baldwin, E., Simmonds, D., Pedrozo-Acuña, A., & Reeve, D. (2011). LABORATORY OBSERVATIONS OF IMPACTS ON COARSE SEDIMENT BEACHES. Paper presented at the Coastal Engineering Proceedings. Greaves, D., Conley, D., Leeney, R., Godley, B., Simas, T., Huertas, C., Holmes, B., Chambel Leitao, J., Mouslim, H., & Torre-Enciso, Y. (2011). The SOWFIA Project: Streamlining of Ocean Wave Farms Impact Assessment. Paper presented at the EWTEC, Southampton. Huertas, C., Holmes, B., Greaves, D., Torre-Enciso, Y., Bailey, I., Danos, F., Mouslim, H., Conley, D., Simas, T., Sundberg, J., & Osta, V. (2011). First output of the SOWFIA Project: Streamlining of Ocean Wave Farms Impact Assessment. Paper presented at the OCEANS, Santander. Jamal, M. H., Simmonds, D., Magar, V., & Pan, S. (2011). Modelling infiltration on gravel beaches with an XBeach variant. Paper presented at the Coastal Engineering Proceedings. O'Hagan, A., Leeney, R., Conley, D., Holmes, B., Huertas, C., Osta, V., & Greaves, D. (2011). SOWFIA: Learning from Impact Assessments of European wave energy developments. Paper presented at the ICES Annual Science Conference, Gdansk. Roc, T., Conley, D., & Greaves, D. (2011). Turbulence Correction Terms for Representing Tidal Current Turbines in a Regional Ocean Model for Array Planning and Impact Assessment. Paper presented at the ISOPE, Maui. Somerville, T., Greaves, D., Raby, A., & Zang, J. (2011). Numerical Investigation into the Tuning of an Oscillating Water Column. Paper presented at the EWTEC, Southampton. Morgan, G., Zang, J., Greaves, D., Heath, A., Whitlow, C. D., & Young, J. R. (2010). Using the rasInterFoam CFD model for wave transformation and coastal modelling. Paper presented at the ICCE. Roc, T., Conley, D., & Greaves, D. (2010). Accounting for Turbulence in a Regional Numerical Model for Tidal Current Turbine Farm Planning. Paper presented at the ICOE, Bilbao. Roc, T., Conley, D., Greaves, D., & Huntley, D. (2010). Calibration of a Tidal Current Array Planning Tool. Paper presented at the Ocean Sciences Meeting, Portland. Torres-Freyermuth, A., Pedrozo-Acuña, A., Simmonds, D., Reeve, D., & Salles, P. (2010). MOMENTUM BALANCE UNDER PLUNGING BREAKERS: THE ROLE OF ADVECTION ON SEDIMENT MOBILIZATION AND TRANSPORT. Paper presented at the Coastal Engineering Proceedings. Westphalen, J., Greaves, D., Hunt-Raby, A., Williams, C. J. K., Taylor, P. H., Hu, Z. Z., Omidvar, P., Causon, D. M., Mingham, C. G., Stansby, P., & Rogers, B. (2010). Numerical Simulation of Wave Energy Converters using Eulerian and Lagrangian CFD Methods. Paper presented at the ISOPE, Beijing. Westphalen, J., Greaves, D., Williams, C. J. K., & Hunt-Raby, A. (2010). Numerical simulations of a floating body in one, two and six degrees of freedom using a Navier-Stokes solver. Paper presented at the RINA Conference on MARINE & OFFSHORE RENEWABLE ENERGY, London. Westphalen, J., Greaves, D., Williams, C. J. K., Hunt-Raby, A., Taylor, P. H., Hu, Z. Z., Omidvar, P., Causon, D. M., Mingham, C. G., Stansby, P., Rogers, B., & Stallard, T. (2010). Numerical Simulation of Wave-Structure Interaction wave energy conversion applications using Eulerian and Lagrangian CFD Methods. Paper presented at the ICOE, Bilbao. Zhang, Y., Zou, Q., Greaves, D., Reeve, D., Hunt-Raby, A., Graham, D., & James, P. (2010). An investigation of the hydrodynamic characteristics of an oscillating water column device using a level set immersed boundary model. Paper presented at the ISOPE, Beijing. Greaves, D., Smith, G., & Wolfram, J. (2009). 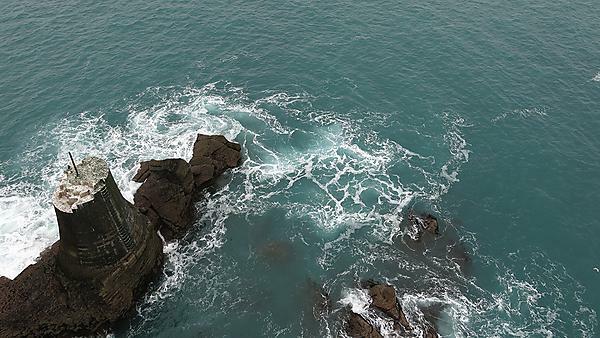 Development of Marine Renewable Energy in the South West of England: The Wave Hub and PRIMaRE. Paper presented at the EWTEC, Uppsala. Westphalen, J., Greaves, D., Williams, C. J. K., Drake, K., & Taylor, P. H. (2009). Numerical simulation of an oscillating cone at the water surface using computational fluid dynamics. Paper presented at the Proceedings of 24th International Workshop on Water Waves and Floating Bodies. Westphalen, J., Greaves, D., Williams, C. J. K., Taylor, P. H., Causon, D. M., Mingham, C. G., Hu, Z. Z., Stansby, P., Rogers, B., & Omidvar, P. (2009). Extreme Wave Loading on Offshore Wave Energy Devices using CFD: a Hierarchical Team Approach. Paper presented at the EWTEC, Uppsala. Zhang, Y., Zou, Q., & Greaves, D. (2009). Dynamic response of wave energy converters in extreme waves. Paper presented at the EWTEC, Uppsala. Conley, D., Hosegood, P., & Greaves, D. (2008). Assessment of WaveHub impacts on the water column and seabed, both locally and remotely. Paper presented at the MAREE, London. Greaves, D., Conley, D., & Hosegood, P. (2008). Marine Renewable Energy Research in the South West of England. Paper presented at the Proceedings of the 2nd International Conference on Ocean Energy, Brest. Reeve, D., Simmonds, D., Davidson, M., Chadwick, A., Kizhisseri, A., & Karunarathna, H. (2006). A risk based framework for predicting long-term beach evolution. Paper presented at the Coastal Engineering 2006 - 30th International Conference. Pedrozo-Acuña, A., Simmonds, D., Otta, A., & Chadwick, A. (2005). A numerical study of coarse-grained beach dynamics Paper presented at the Proceedings 5th Coastal Dynamics.